Dropbox is a modern work space constructed to reduce workloads – so you can focus on what’s important. We have partnered up with Dropbox to provide our clients with secured file sharing and storage solutions for every business size. Our services includes secured cloud storage, live file collaboration, large file transfers, deleted file recovery and more. When you sign up for Dropbox through us, you’ll receive the space you need for all your documents and technical support from our experienced team. At Houston TechSys, we’re always looking for ways to help keep your team productive and your data secure. That’s why we want to share the success we are seeing from organizations using Dropbox Business to help drive their growth. Dropbox Business helps your company grow without limits, while you maintain complete control over important company information and user activity. Dropbox and Microsoft recently teamed up to provide a seamless experience within Office across mobile, desktop and web. Using the two solutions together, our customers are able to drive overall productivity. 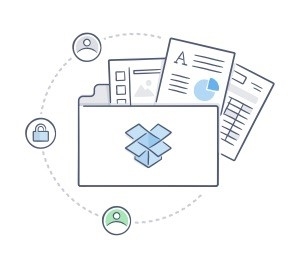 We have confidence that Dropbox would be a great addition for your organization. Get in touch with us today! Experience best-in-class performance across entire workflows. MS Office suite provides everything needed to create documents and spreadsheets, while Dropbox Business syncs changes immediately across devices for anytime, anywhere access. Share new or edited files from Dropbox or Office so there are no extra steps between finishing a document and securely sending it off to colleagues. Simplify collaboration with the Dropbox badge – an exclusive feature available to Dropbox and Microsoft subscribers that lets users see who else is viewing a file, share a link natively, and update to the latest version if changes are made. All without leaving Office.